Betsy does not cook so you should take a look at these spectacular bacon and cheese stuffed crescent rolls and be extremely impressed. Betsy volunteered to provide an offering for Bacon Wednesday this week and found the perfect recipe on Pinterest (where all interesting things live). 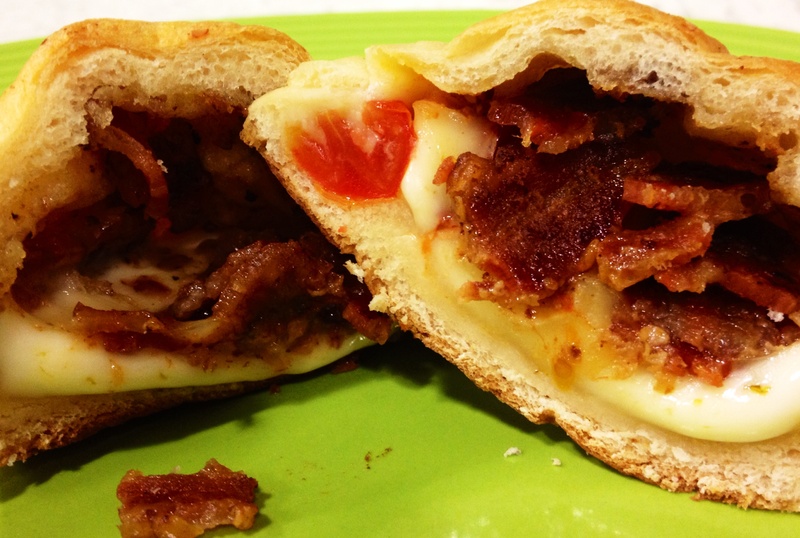 It only has three ingredients – cooked bacon, Monterrey Jack cheese and crescent rolls. Betsy threw caution to the winds and added sliced cherry tomatoes for a splash of color and because she can now say she ate her vegetables today. I can report to you that they’re super yummy and easy to make. The recipe comes from a blog called The Food Charlatan. Here’s the link to the recipe. Happy Bacon Wednesday!